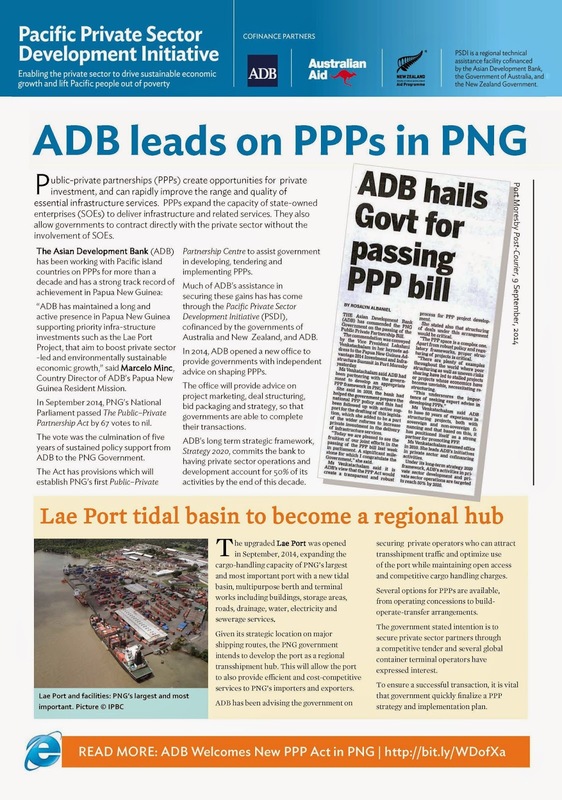 PORT MORESBY, Papua New Guinea, 9 September 2014—The Asian Development Bank (ADB) has welcomed a new law making it easier to develop and implement public–private partnerships (PPPs) in Papua New Guinea (PNG). 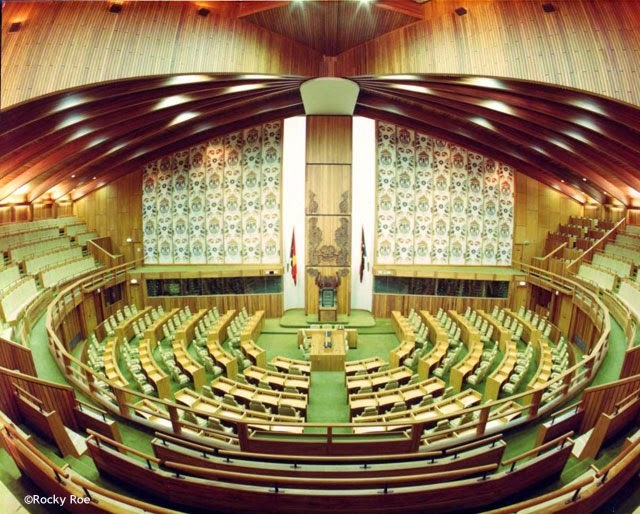 The Public–Private Partnership Act was passed by National Parliament of PNG early this month by a unanimous vote of 67-0. The new Act establishes a Public–Private Partnership Centre to assist the government in developing, tendering and implementing PPPs. ADB provided policy guidance and support in drafting the legislation, which is part of wider reforms to increase private investment in the delivery of infrastructure services. “Private sector partnerships allow governments to do more with less, expanding service delivery and technical know-how without immediate drawdowns on limited fiscal resources,” said Andrea Iffland, Regional Director of ADB’s Pacific Liaison and Coordination Office. “This new Act creates a transparent and robust process for PPP project development in Papua New Guinea which ultimately will encourage more private investment." PSDI is a regional technical assistance facility cofinanced by the Asian Development Bank, the Government of Australia, and the New Zealand Government. © All rights reserved Asian Development Bank and Partners. Powered by Blogger.